After Glasgow: What did the left get out of the Lib Dem conference? Gareth Epps of the Social Liberal Forum takes a look back at what the left got out of this week's Lib Dem conference in Glasgow. By many accounts, social liberals have a lot to cheer about coming away from their Glasgow Conference. We have given the Liberal Democrats a strongly anti-bedroom tax position, seen off leadership attempts to water down a position on the Living Wage (and in fact strengthened it), strengthened a Manifesto themes document to give a much more strongly social Liberal approach, got concessions on the party’s position on that most toxic subject of student finance, and set out opposition to Conservative attacks on legal aid. Should the left see 2015 as a referendum on economic Liberalism? After a vote on the economy that certainly disappointed very many Liberal Democrats, however (the disappointment of the Conference), it would seem so. The desperation of a position which saw spinning of a Parliamentary Party vote which was subsequently revealed to be fictitious is evident. There were also leadership attempts to alter the text of the Social Liberal Forum’s amendments to the motion summated Nick Clegg. But in the end Clegg, Tim Farron (disappointingly for those who had seen him as the hope of progressive Liberalism) and others argued for continued austerity and against a forward-looking package of growth, homes and jobs which would have accelerated or indeed started the drive of recovery. With a review of public services now under way – the one subject on which the notorious Orange Book was consistent on, in a manner that provoked the most horror on its publication in 2004 – there is further work to do: proof enough that social Liberals need to keep working within the Liberal Democrats to prevent the now overt attempts to move a proud centre-Left party to the centre-Right. Unfortunately we now see overt calls from people within the Liberal Democrats for social Liberals to leave: shameful tribal politics of the sort which so damaged the Labour Party a generation ago and kept the Tories in power on their own, and a call led by Clegg’s own erstwhile advisor Richard Reeves. 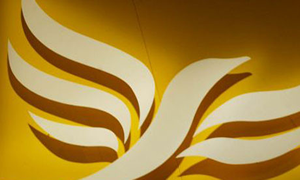 Deficit hawks in the Lib Dems may be feeling slightly stung by Clegg’s concession in his speech that he was “against 100 per cent spending cuts”: news to those reading his motion and his calls for an unamended fiscal mandate that does precisely that. But it’s small beer: and posturing in favour of nuclear power and in favour of wasting billions of pounds on Trident replacement gives little comfort. However, the most worrying thing was the complete absence of Liberal values to root what was a final speech focused almost exclusively on an entirely functional role, FDP-style, that provided some differentiation but very little indeed about what Nick Clegg’s Liberal Democrats is actually for. (Just as well, I’m sure some of your readers will say). Liberals are by their nature pluralists, and moving on from this week’s navel-gazing it is time that we step up dialogue with other parties (as I suspect even those social Liberals like me who have had bruising battles with them locally will get on better with the Labour Party of 2013 than the leadership). Some setting out of common ground will contrast sharply with ministers who have got too cosy with their new Conservative chums; it may also help Labour as it starts to take policy decisions. Meanwhile, as the Liberal Democrats face the verdict of their voters on this new economic platform, the question will be asked in 2014 but especially 2015: will Messrs Clegg and Alexander find the judgment that they have made George Osborne look relatively popular? Now that would be a feat indeed. This article is delusional. The Party voted overwhelmingly against the SLF amendments on the economy which were designed to confront the leadership and send us into the election disowning the economic policy we have been supporting in Government. It further voted (narrowly) against increasing the top rate of income tax to 50p, in favour of replacing Trident and ( not purely a left right issue) in favour of nuclear power and fracking. Given that Gareth was one of the leading supporters of forcing the abolition of tuition fees into the 2010 Manifesto ( how did that work out?) it is odd he doesn’t mention that this is no longer our policy. I am also puzzled by the reference to calls for social liberals ( incidentally virtually all members of the Party are social liberals, otherwise they would be Tories) to leave – from whom ? I haven’t heard anyone saying that. Still he’s right about one thing: he did succeed in changing the Conference Standing orders. For the uninitiated, Simon McGrath is a right-wing Liberal Democrat with a track record of making disrespectful comments about people he disagrees with. He is being deliberately misleading about the motives behind the Social Liberal Forum’s take on the economy, attempting to present it as a personal attack on Nick Clegg when in fact it is a genuine attempt (see http://socialliberal.net/slf-publications/economic-plan-c/) to set out a forward vision on the economy, first published over a year ago. He and his chums have previously celebrated the resignations of prominent figures on the left of the Liberal Democrats, such as Richard Grayson; and have acted as cheerleaders for the so-called ‘bedroom tax’ and other Tory-inspired cuts to welfare that have affected the most vulnerable, so I suspect most readers of LFF will not see much to agree with in what he writes. The Left got a few good laughs and Vince in one of his moods. Interesting to see which Party manages to survive the gaffs; UKIP obviously didn’t. All parties must be praying for the Conference season to be over and they can get back to humdrum punch n judy everyday politics and not play up to the gallery.